We've received several e-mails and comments today from people who couldn't find Fire Emblem: Awakening in stores. Quite a few retailers have yet to receive the new (excellent) strategy-RPG, which came out today for 3DS. Game Informer says they called a few Best Buys and GameStops and heard that there's a shipping delay on the new Nintendo-published game. Nintendo makes every effort to make sure its games and systems are available at retail stores nationwide on launch day. Sometimes, because of the variables of shipping, different retailers receive their shipments on different days. 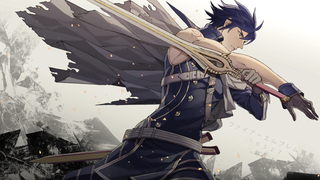 Fire Emblem Awakening can be purchased right now from the Nintendo eShop for Nintendo 3DS. In other words, if you really want it now, get ready to get your download on.